Seating-wise, it’s fairly small – more designed as a place to eat quickly and go, or to take your food away. They’ve now started to offer a delivery service too, through local website Eatsy. It was a little daunting when I first visited, I have to admit. Choose your base (burrito, taco, fajita or rice dish – everything priced at £4.75 small, £5.75 regular, bar the tacos which are a bargain £1.50 each). Choose your filling (beef, pork, chicken or vegetables). You then have a choice of what sort of beans you want, whether you want your salsa mild/medium/hot, whether you want any extras such as guacamole, more cheese, sour cream, salsa…it’s a little overwhelming. You can see the full menu by clicking here. My normal choice is a rice box with either chicken (slightly spicy, marinated in smoked chilli, cumin and coriander) or the Barbacoa beef. I’ve tried the carnitas (pork) but prefer the version served in Mission Burrito up the road on Park Street. The smoked tomato salsa is a winner for me – My Burrito claim that it’s medium-spiced, but it’s got a bit of a kick to it – if you’re not sure what to go for, though, you’ll find tortilla chips and small bowls of salsa on the counter so that you can try before you decide. 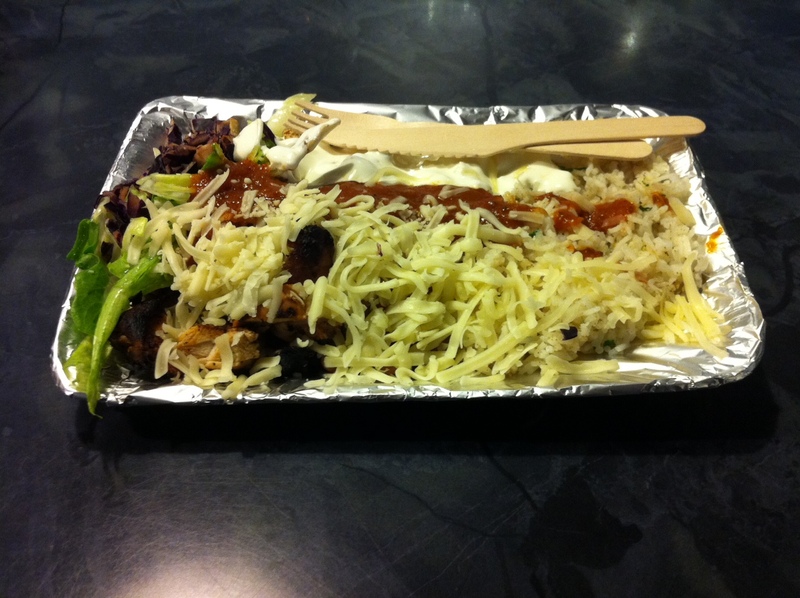 The rice boxes may not look particularly appealing (see photos below) but it’s essentially a burrito without the tortilla, so it’s going to be a little messy! Some of the extras are a little overpriced, in my view (70p for a fairly small amount of guacamole! ), but My Burrito is pretty good value overall. Make sure you pick up a loyalty card at the counter too, and collect stamps to get your tenth burrito free. My Burrito is also fully licensed, so you’ll be able to buy yourself a beer from £2.95, or a Margarita or Bloody Mary for £3.50. As I previously mentioned, though, our main reason for visiting is for dessert when we’ve been out for dinner in the city centre. 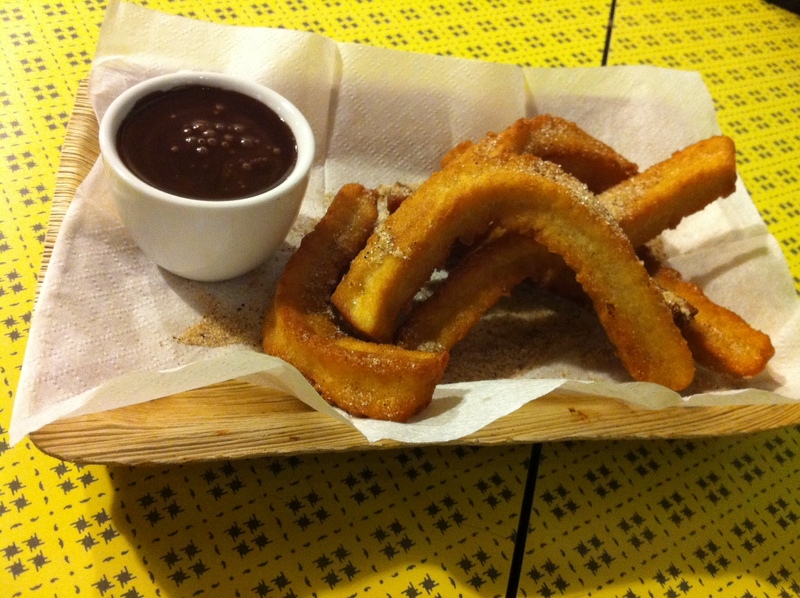 We’re slightly addicted to the churros: the Spanish take on doughnuts, which are made to order, liberally sprinkled with sugar and cinnamon and served with a hot chocolate dipping sauce. Even better, they only charge £1.95 for a portion that’ll easily serve two people! It may be fast food, but it’s reasonably priced and a great option for a quick bite to eat if you’re in town, and a welcome change from the kebab shops that surround the fountains. Definitely recommended. it was like a tablespoon of rice [at most]. That's hardly a rice box. We questioned whether thats all the rice you get (the same amount of rice you get in the burritto) and after our server confirmed with other staff they said yea. It looked like a ridiculous portion size, so we just went for the burrito instead, since you get a bit of bread in there to bulk it out a bit. Tastes good but overpriced I'd say. £5.75 for not a particularly massive portion? Not convinced. Not sure I agree with Jake there. I've always found the portions at My Burrito really fill you up. I've got a healthy appetite as I run almost every day and there aren't many fast food options that do satisfy like My Burrito. I think 70p is a little bit much for the guacamole but it really makes the Burritto along with a dollop of sour cream. My fav. 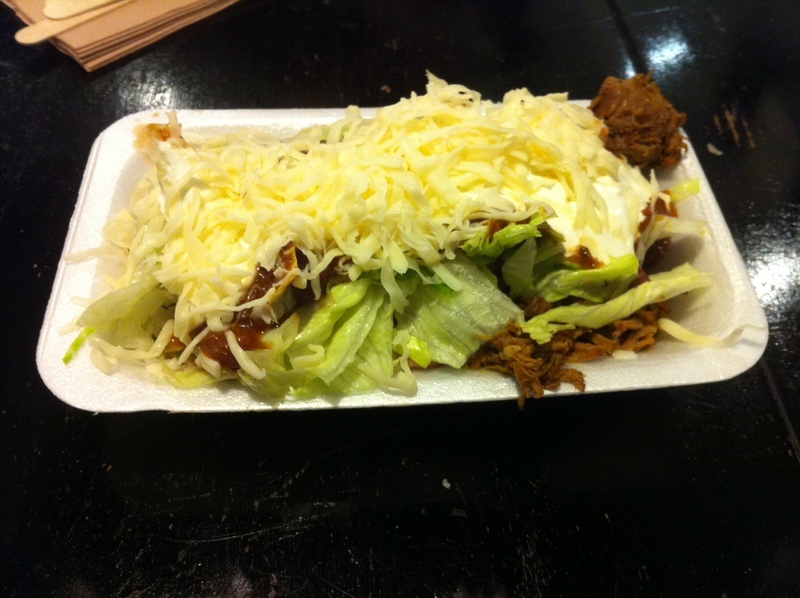 is the beef with Pinto beans…yum!